The idea of rewriting Shakespeare’s first tetralogy to focus on the character of Queen Margaret – the only character to appear alive in all four plays – is a good one, though not original; Charlene Smith’s research has found some twenty-six, with more doubtless to be turned up. 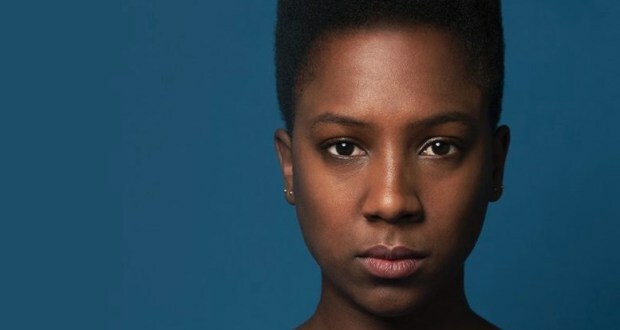 Still, it’s rare for one to come with quite this pedigree: a full-scale production at Manchester’s Royal Exchange, written by Jeanie O’Hare, directed by Elizabeth Freestone and starring the fantastic Jade Anouka in the title role. Running at a little under three hours, the play offers a stand-alone epic centred around a woman’s view of events. At least, that’s what I’d hoped for. Queen Margaret feels like a missed opportunity, trying to tell the key story of 2 and 3 Henry VI while pushing Margaret to the front, and the resulting adaptation does neither especially well. The problems are with the text, both in its compression of Shakespeare (who will here stand for Marlowe, Nashe and whoever else might have written the Elizabethan plays) and in its new material. The compression is conservative in what it jettisons; while they let go of Jack Cade (always the first thing to disappear, sadly), O’Hare’s text still follows the squabblings of the nobles, the fortunes of war, the emergence of the future Richard III, and several favourite scenes. Yet these scenes are slimmed down to shadows of their former selves; the triple-mirroring of the Father and Son who killed their Son and Father respectively with the lamenting Henry now becomes a single lament from a daughter; and Clarence is cut, thus removing the main enmity from between York’s brothers. At times, it like a best-of compilation for which they didn’t get the rights to some of the real bangers. Yet this isn’t a plea for keeping more; the play’s issue is that it tries to retain so much of the originals, and the chief victim of this was … Margaret. Given that part of the stated rationale is the size of Margaret’s role across four plays, many of her best scenes are slashed: her initial meeting with Suffolk from 1 Henry VI, showcasing her sarcastic wit, is gone; her combat with Eleanor of Gloucester too; her promise she would die for Henry even after Suffolk’s death is absent; her standout scene from 3 Henry VI before Louis of France was reduced to a banal meeting in which Warwick came to visit her at home (why does this play domesticate Margaret even more than Shakespeare does?! ); her speeches from Richard III are reduced to a few lines as the plays closes on her traveling into exile. Somehow, even with three hours to showcase the character, O’Hare’s version creates a version that arguably has even fewer dimensions than the original. Where the play does extend Margaret’s role, it is through new text focusing on the behind-the-scenes of her decisions, a choice which lacks a certain amount of imagination in binding even the new material to the narrative, rather than exploring other elements of the character. O’Hare creates two interlocutors for Margaret: the Ghost (or a memory?) of Joan of Arc, who haunts Margaret much as Margaret haunts Richard III; and a woman called Hume, expanded from the battling apprentice of 2 Henry VI to be a voice of the common folk in the face of war. Lucy Mangan did good work with Joan, coming off at first a bit like Hamlet’s Ghost, exhorting Margaret to revenge against her murderers York and Warwick, and pressing a knife into her hand. As the play went on, even Joan became anxious about the extremes to which Margaret was willing to go, however; at its worst, the character became more Moaning Myrtle than Old Hamlet, looking on with a sing-song air of ‘I told you so’, but her presence at least gestured towards something more profound. Hume (Helena Lymbery) was less successful. Lymbery herself was winsome in the role, offering wry commentary on the state of the nation, showing off her red and white roses sewn into different sides of her jacket, and drawing most of the production’s laughs with her sweary cynicism. Hume also took on a narrator role, unnecessarily announcing the title of each new scene (‘Margaret is captured’) like a placard. The problem again here was the script, both prosaic and overlong. The gesture towards war-is-bad-and-affects-us-all politics was welcome, but all the time Hume was onstage detracted from Margaret, and pulled the production towards a state-of-the-nation address that started something the rest of the production didn’t want to finish. The exception to this was an attempt to make Margaret the voice of England. After the battle at which the Lancastrian forces were finally beaten, Margaret was given the role of lamenting the thousands of English dead, reduced to sobbing in a heap on the floor, and going into mourning for her country until Warwick (the solid Bridgitta Roy) brought her out of her stupour. The impulse here was understandable, but Margaret’s sudden empathy for the nameless victims of war jarred entirely with what was left of the Shakespearean text on either side, where Margaret remained doggedly factional rather than humanist, and active rather than passive. Anouka did her best with the material, but the temporary shift in tone fitted poorly. This wasn’t a bad production; it just felt like it was pulling in several different directions simultaneously and serving all of its component parts only partially. As a distilled, single-performance version of 2 and 3 Henry VI, though, there was much to enjoy. Lorraine Bruce was a proud Yorkshirewoman as York, all no-nonsense and scathing in her insults. The choice to change the character’s gender (as well as that of Warwick) made Margaret’s position as a woman on the battlefield much less unique, but turned the primary conflict into two women fighting for their sons, and Bruce’s final defiance of Margaret was the most powerful moment of the production. The modern setting allowed for some good gags, whether Warwick snapping York and sons on the throne on her mobile phone; Suffolk giving Humphrey a filled out expenses form with train tickets attached; or York with a towel around her head standing in her sons’ way as they tried to play on their Playstation. Margaret herself was thoroughly modern in Anouka’s performance, and many of the production’s best moments involved her standing with a cigarette, watching and shaking her head as the men bickered (at one point collectively saying ‘Squabble, squabble, squabble’). Anouka was exceptional throughout, pushing herself to the centre of Amanda Stoodley’s dartboard of a set and speaking on her own behalf; it was just a shame that the play kept pushing her back to the margins rather than fully committing to seeing the play through her eyes. Elsewhere, the performances were mostly good, particularly Max Runham as a surprisingly capable Henry, who benefitted from brief additional scenes showing him praying with Margaret. Kwami Odoom was a non-hunchbacked Richard, who made his moment count with the ‘I am myself alone’ speech, and the young Islam Bouakkaz was affecting in his multiple deaths as both Prince Edward and Rutland. Again, though, the play’s confusion about whether it was a new play or a production of Henry VI meant that few of the characters had much opportunity to establish themselves beyond the broad stroke of their actions. The production looked beautiful, with Johanna Town’s lighting creating patterns across the dartboard that mimicked clocks ticking, light-up podiums for the ethereal Joan, or partitions for those praying; white snow and pamphlets falling from the ceiling; and a pleasing contrast between Joan’s immaculate blue outfit and Joan’s medieval armour. The actual storytelling was clear and pacey, covering the bulk of the wars of the roses efficiently with a relatively small cast. But my disappointment comes from my sense that there was simply too little Margaret, and I hope I get a chance one day to see Anouka either take on a really radical take on the character (I’d happily watch her monologue for an hour and a half) or else follow her across a full tetralogy. I saw this production yesterday. In the 1960s I saw the Hall/Barton Wars of the Roses and my problem is, even after all these years, I still see Peggy Ashccroft in the role of Margaret. That said the acting and staging was good, but if there is a problem it is in the adaptation. If Margaret was the centre of attention then, for the first half at least, it did not seem that way. It is also a pity that the published text does not highlight the (probably) original Shakespeare as opposed to the new text. Possible to work it out, I know, but it would have helped. The published Barton version (which I still have) does this. Still a very enjoyable afternoon. Why not give it a short run in (say) The Swan?